Last year, the National Football League announced a partnership with Amazon that allowed Prime members to stream Thursday Night Football live during the 2017 season. Per the press release, the games were available on a variety of devices, including smart TVs, mobile devices and video game consoles. "We are continually looking for ways to deliver our games to fans wherever they watch, whether on television or on digital platforms," said NFL Chief Media and Business Officer Brian Rolapp. There have been many such partnerships to deliver sports content online over the past few years, but this one touches on two important concepts: innovation and accessibility. Streaming services, which pay millions of dollars to license and stream sports, should also focus on these areas. Licensing fees have risen dramatically, meaning streaming companies must find leading-edge ways to glean more revenue from their offers in order to offset such dramatic costs. Thanks to increased competition and the deep pockets of the major parties involved, the prices for premium sports rights have reached all-time highs. For example, according to a white paper from Comcast, the most recent auction of rights to stream content from the English Premier League exceeded $2.2 billion annually. This is more than three times the price as of 2007. A similar increase in costs has accompanied rights to the Olympics over the past decade. 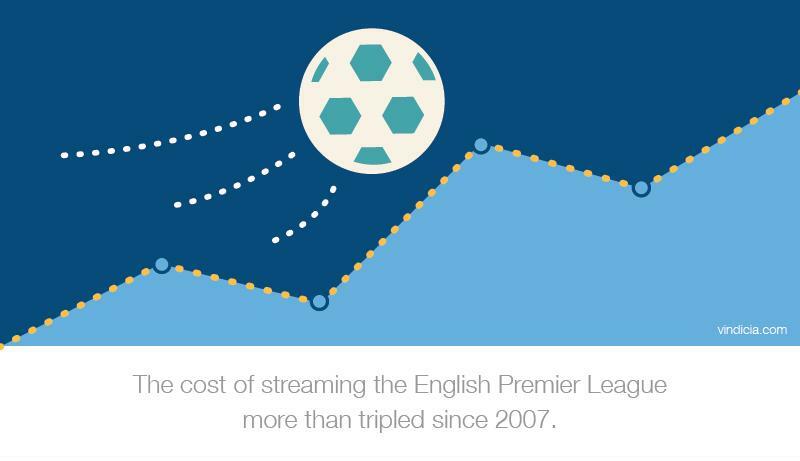 The cost of streaming sports content has increased dramatically over the past few years. This upward trend is expected to continue, especially as leading internet companies with large amounts of cash come into play (think Amazon, Facebook and Google). Thanks to their influence, rights costs may skyrocket. If streaming services must pay such exorbitant fees for streaming rights, they need to do everything they can to maximize the revenue received from their viewership. A significant part of this objective requires businesses to incorporate dynamic and innovative subscription and payment models that address a wide range of consumption preferences to attract different types of consumers to their content, with different packaging and pricing strategies. These dynamic models can include payment strategies like skinny bundles that offer a lower price point for a smaller selection of content, or the option to pay for and watch single events – or follow just a favorite team – rather than subscribing for an entire sports season. Some viewers may not be willing to pay at all. Rather than giving up on this demographic, companies could offer freemium content with the hope that at some later stage these customers may convert to paying. Alternatively, there is the option of ad-sponsored free models, which must be structured with great sensitivity to ensure that viewers continue to consume content – despite the ad interruptions - and advertisers achieve the exposure to target audiences in a model that is profitable for the streaming company. Personalizing ads and data analytics and other strategies are essential in order to fine-tune and optimize these models. In short, sports streaming subscriptions can't have one-size-fits-all pricing, as the cost of acquiring the rights to these games is too high to risk losing customers. Instead, streaming companies must utilize multifaceted bundling and pricing strategies that attract as many viewers as possible to get the maximum amount of revenue. 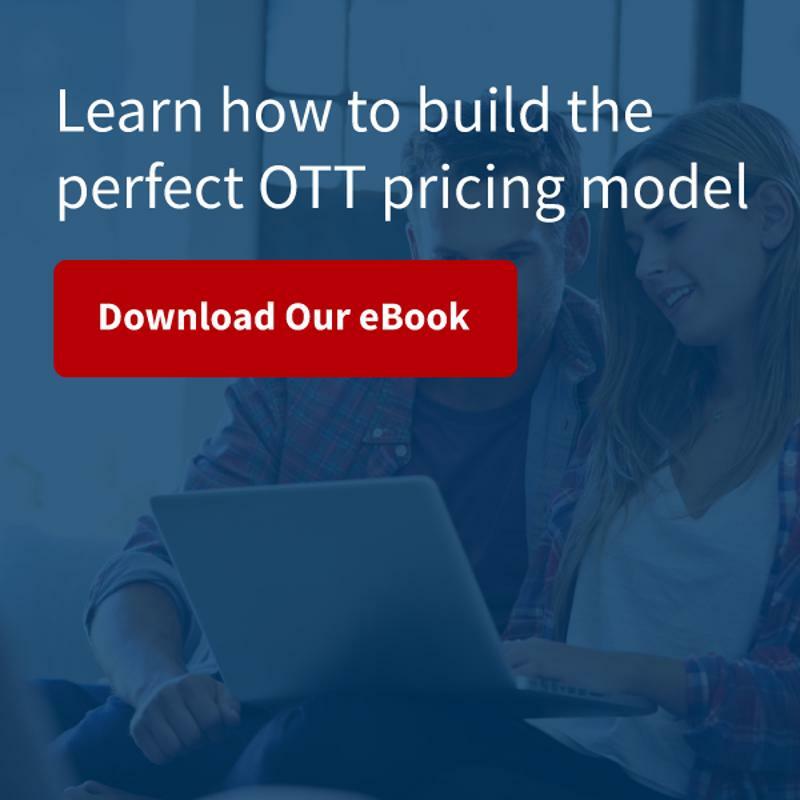 Of course, creating a comprehensive entertainment subscription pricing strategy is a complicated affair. Luckily, subscription companies can benefit from the experience and expertise of subscription billing leaders like Vindicia who offer not only sophisticated and flexible subscription billing capabilities, but also big data-driven insights, best practices and consultation to help optimize our clients' services, offerings and pricing structure. That's why the call us the Subscription People.